exposure. I should know. I had the scary experience of having melanoma, the most aggressive type of skin cancer. Luckily it was discovered in time and I had it successfully removed. The 4-inch scare down the middle of my back is a constant reminder of the importance of protection from the sun. Your eyes are equally susceptible to the dangers of too much sun exposure. The Mayo Clinic says that UV radiation from the sun can damage not only the skin of your eyelid but also the cornea, lens and other parts of the eye. UV exposure also contributes to the development of certain types of cataracts and possibly macular degeneration. The Mayo Clinic suggests that when choosing sunglasses, look for UV-protection details on the product labels. Look for sunglasses that block 99 to 100 percent of both UA and UVB rays. Don't purchase sunglasses that neglect to offer details about their UV protection. The color and degree of darkness sunglasses provide have nothing to do with the sunglasses' ability to block UV rays. Wraparound sunglasses or close-fitting sunglasses with wide lenses that protect your eyes from all angles are best. Your local eye care professionals are a great source of information in helping you select the best pair of sunglasses even if you don't need prescription sunglasses. I do wear prescription eyeglasses and I've had a hard time finding sunglasses that wrap around and fit close to my head for running. I had trouble that is until Eye Care Associates contacted me about testing out a pair of sunglasses. They scheduled me for an exam at the Eye Care Associates location at Friendly Center in Greensboro, NC. Dr. Laura Painter did an excellent job in giving my eyes a thorough exam. She actually discovered the beginnings of a cataract in one eye. All the more reason to get protective eye wear for my many runs. on a pair of Oakley sunglasses. I've always had sunglasses with dark grey lenses, but I was introduced to some amber lenses that I ended up liking a great deal. I run early in the morning and later in the afternoon. 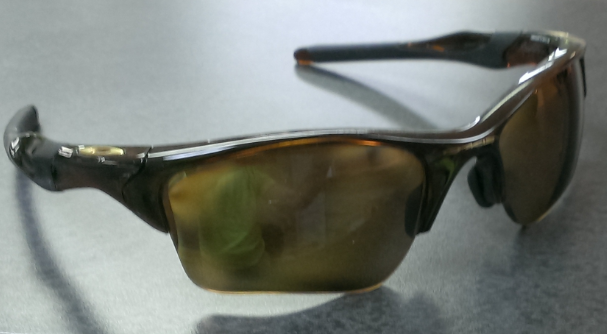 The amber lenses help me still be able to see when the sun hasn't fully risen or when it's begun to set. I've had several runs during the fall for which I needed sunglasses to block the setting sun, but before I could complete the run the sun would dip below the horizon making my footing a scary guessing game the last mile or two. 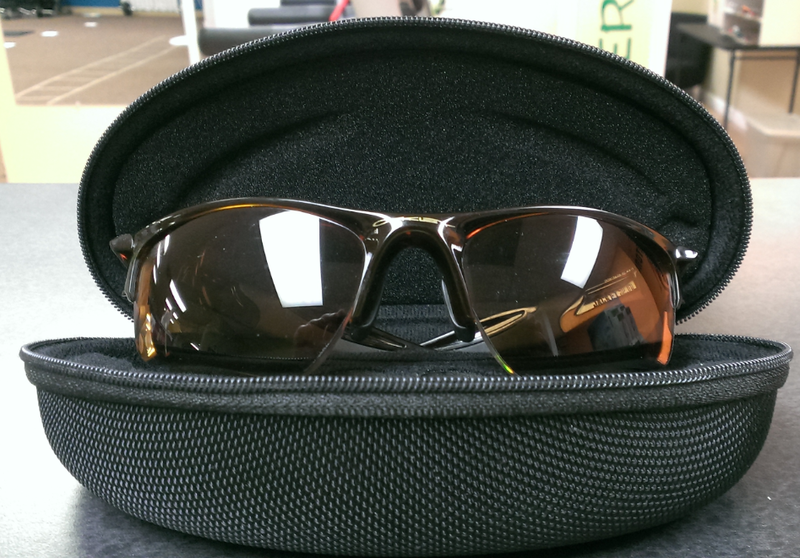 The amber lenses makes that much easier while still providing the protection when needed earlier in the run. I've been running with the Oakleys for over a month now and they're awesome! The stay snugly on my face with no slipping. They provide great coverage and I'm loving the amber lenses. 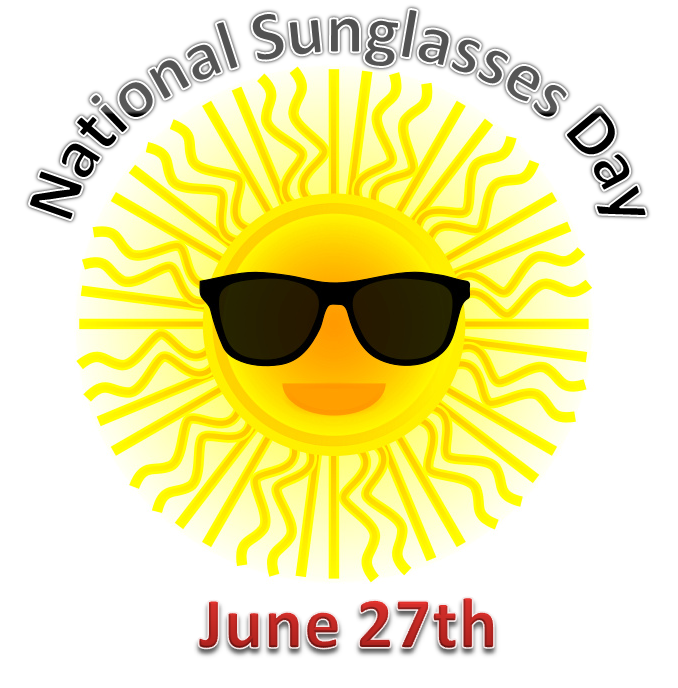 June 27th is National Sunglasses Day! In honor of National Sunglasses day and to help promote healthy eyes among the running community, Eye Care Associates is providing a $200 gift certificate that can be used for a routine eye exam, retinal photos, non-prescription sunglasses, prescription eye wear, and/or contact lens materials at any Eye Care Associates office. To participate, you'll need to be within driving distance of one of the many Eye Care Associate locations here in North Carolina. Click here for locations. Enter below for a chance to win the gift certificate. You'll have until end of Day July 1st to enter. The winner will be announced on the blog on July 2nd. A huge thanks to Eye Care Associates! !